"We'll often encounter beggars on the road, especially in the alley shopping areas. 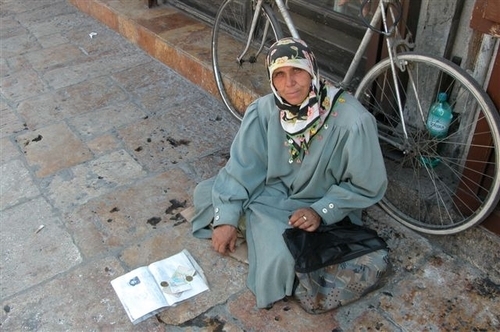 This lady was willing to pose for a picture for 10 Denars which would be about $.22. Any time you do give money to beggars, they'll keep begging for more. Even driving along the road, if you are stopped at a red light you often will have someone tapping on your window for money."